Website for user u9572 on 2lazy2boot. Antique glass for sale ads on online car boot sale in United Kingdom, second hand Antique glass for sale in United Kingdom, Antique glass ads for free in United Kingdom, u9572 - United Kingdom car boot fairs - u9572. Find below listing of used or new Antique glass items for sale presented by u9572 from United Kingdom. Norman Harrap & Son specialize in fabricating, restoring and repairing stained glass windows, lighting and signs. Our services are tailored to the individual project. Our team of expert craftsmen produces pieces in simple as well as complicated designs to suit your taste or requirements.. 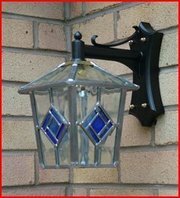 Antique glass for sale ads on online car boot sale in United Kingdom, second hand Antique glass for sale in United Kingdom, Antique glass ads for free in United Kingdom, u9572 - United Kingdom car boot fairs - u9572.